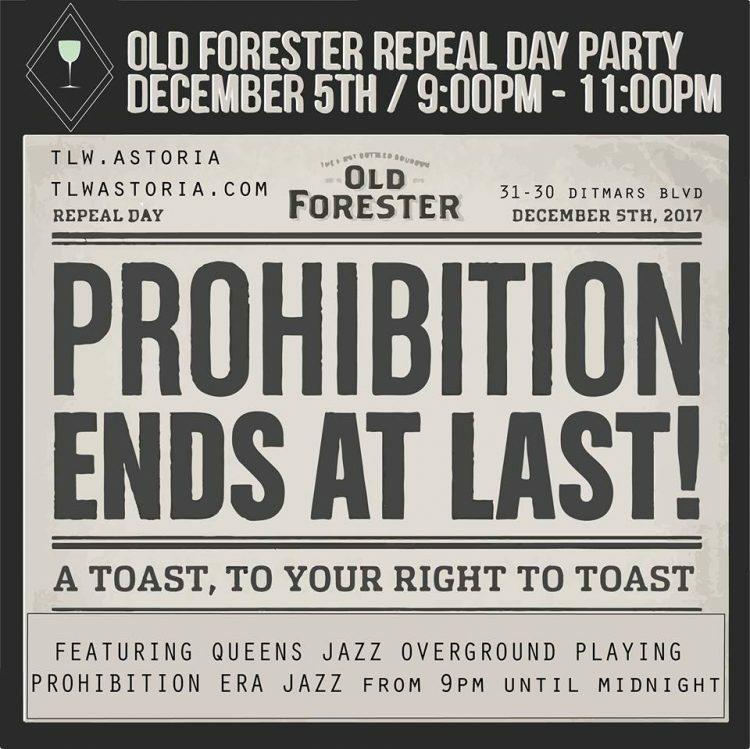 Old Forrester is sponsoring a party to celebrate the repeal of Prohibition and the QJOG Stompers will provide some period appropriate music. The band consists of Jeff Newell on alto saxophone, Daisuke Abe on guitar, Trifon Dimitrov on bass, and Brian Woodruff on drums. Please join us for a night featuring music by Louis Armstrong, Fats Waller, Hoagy Carmichael, et al. We’ll have a great time and as long as you’re 21 years old or over, it’s all perfectly legal! Please join us. !